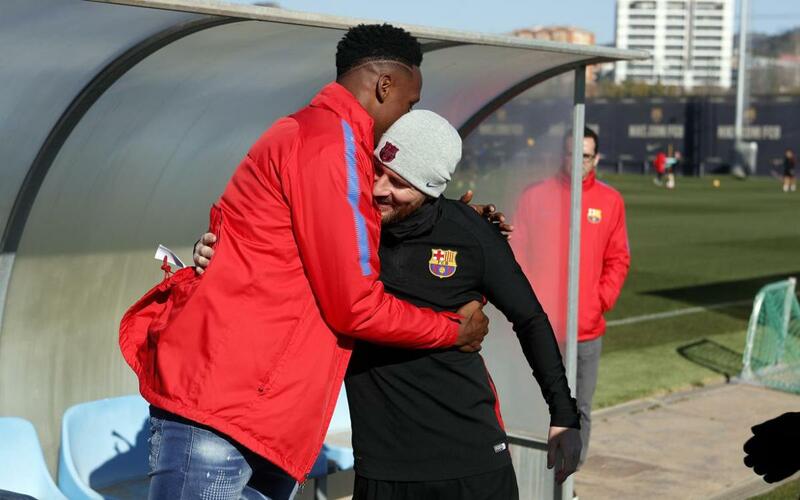 Yerry Mina has now met his new FC Barcelona team mates. The Colombian defender, Barça’s second signing of the January transfer window paid a trip to the squad’s training session on Friday morning at the Ciutat Esportiva. The defender, who had passed his medical in the morning at Barcelona Hospital and at the Club medical staff, took advantage of some free time before the photo session in the afternoon to visit the rest of the squad who were going through their paces ahead of Sunday’s trip to Anoeta to take on Real Sociedad.